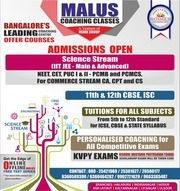 We are one of the best coaching classes in Bangalore. 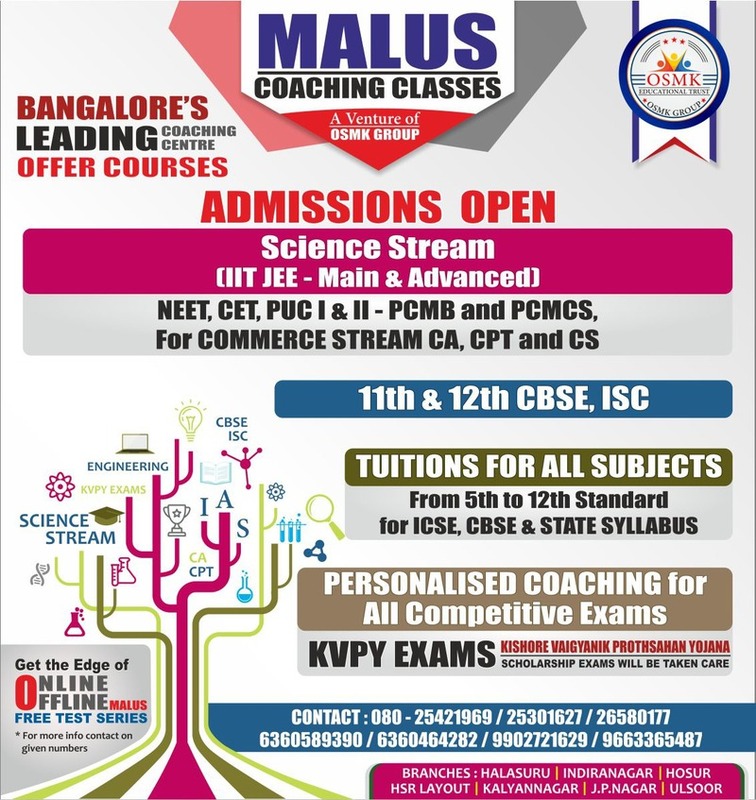 We are providing all sort of coaching from sixth standard to twelth standard for all syllabuses CBSE, ICSEAND STATE BOARD. We do provide coaching to competitional courses like NEET, IIT-JEE MAINS AND ADVANCED, IIT JEE-JAM, KVPY, IAS, IPS, CA, CS, CPT.We have highly qualified faculties and delegate’s for our support. 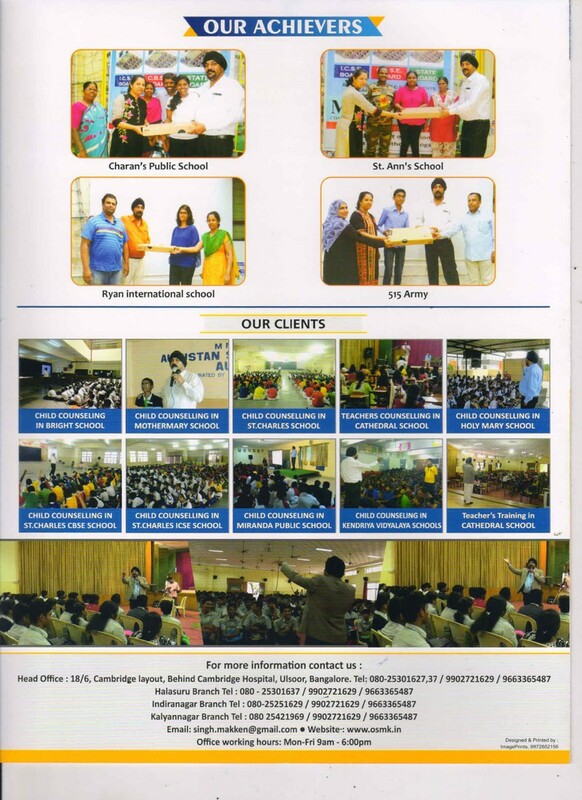 Please do feel free to contact immediately at: 080-25421629, 25301627, 26580177, 9663365487, and 9902721629.